Imagine. In a new dimension. PH backlit panels: everything you need in just 45 mm. 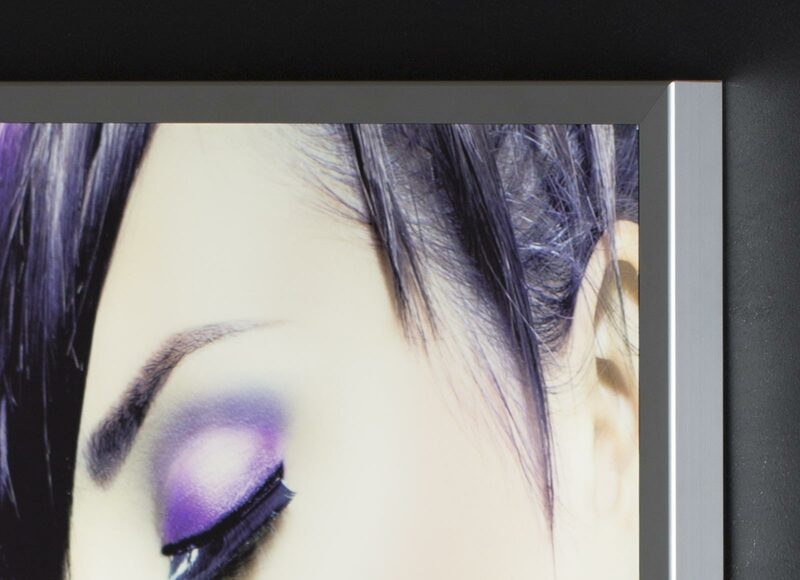 Range of made-to-measure backlit panels for dynamic in-store communication. Clean lines, slimline design and an image created by the passage of light: the PH range of slim backlit LED panels makes it possible to design spaces furnished in a dynamic way, spaces in which light and colour present a new dimension of creativity. 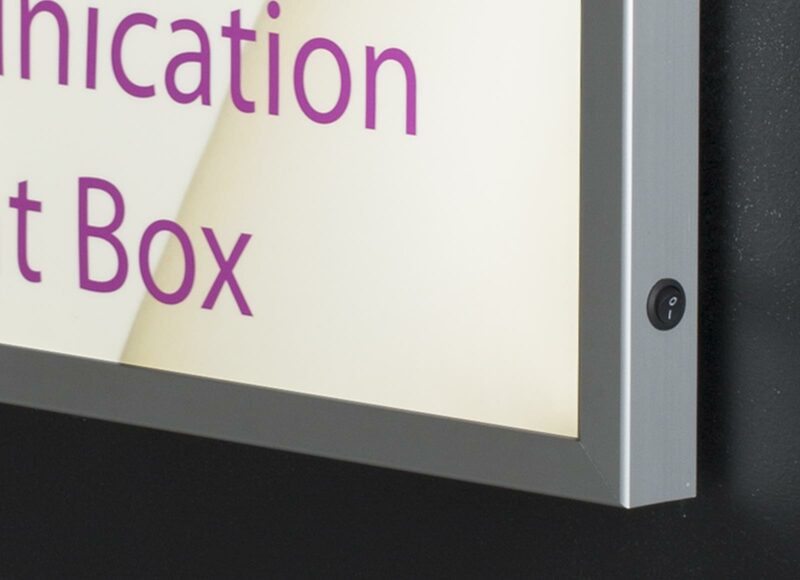 Luminous linear profiles in aluminium with a thickness of just 4.5 cm containing all of the technology needed to illuminate images printed onto backlit film, which can be changed when needed with a simple push of the hand. Perfect for in-store communication displays. Perfect for creating evocative atmospheres in residential spaces. Would you like to buy a PH panel? Slimline panel, just 45 mm thick, with LED backlighting, integrated power supply unit and pre-fitted wall hook. Equipped with the exclusive Spring-fit system, offering an easy solution for image replacement. The printing service is included and further images can be created for the customer even after the panel has been purchased. Standard and made-to-measure sizes. Easy to install. For the freestanding version, the PH backlit panel is equipped with a post and support foot in anodized aluminium and the back of the frame is ready for connection to the same. PH backlit panels are also available in a compact tabletop version with a rear support.